One of the main problems for me here is the language. I don‘t speak italian. Just a bit spanish but it is impossible to make this work for me here in any way. Well, almost everybody speaks english here so it is not a general problem but of course most of the chatting and the talks in the next days will be in italian as well. Well, I do not complain. 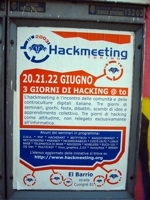 Hackmeeting is a local event. Like the Congress used to be for a long time. We are trying hard to make the Congress a bit more international and we have already succeeded a bit. But there is still a long way to go. However, the Camp on the other hand will be mainly in english. 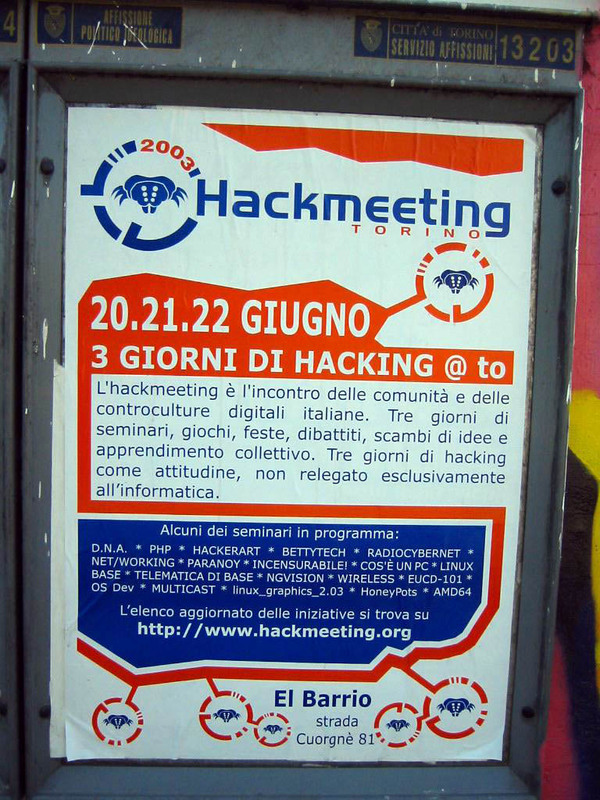 But Hackmeeting excels in other ways: it moved from town to town each year. So it is forced to adapt every time which is probably a good thing. But to get Europe‘s hackers together, some kind of regular international meeting has to be established. Maybe the Congress can fill this niche, maybe not. We should try anyway. Europe is still divided – not in old and new – but by language, electrical plugs, alternating mindsets and totally different national political situations (see Lex Berlusconi). But I believe the Internet and other media slowly and ever faster brings us together. Post Scriptum: Did you know what “I18N”, the general terms for internationalization issues, actually stands for? It is so simple: I + 18 letters + N.